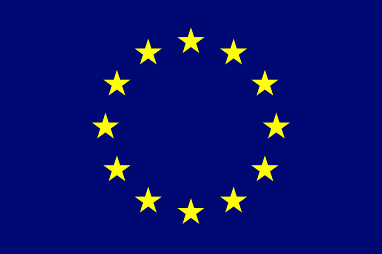 enhance the collective influence of the network with the EU, including its Member States. We regularly engage with officials and politicians from EU institutions and other stakeholders, trying to influence decisions on humanitarian aid made at EU level. We are therefore registered in the EU Transparency Register (number 47126711656-13). Every effort is made to keep the website up and running smoothly. However, VOICE takes no responsibility for, and will not be liable for, the website being temporarily unavailable due to technical issues beyond our control. VOICE reserves the right, at its discretion, to block access to our website without prior notification. On its website VOICE publishes its own publications as well as links to other websites, including to publications from its members or other relevant stakeholders. VOICE makes all reasonable efforts to ensure that the information on its website is accurate at the time of publication. VOICE own publications and information provided on the website reflects the opinions of the organisation only and cannot be constituted as legal or professional advice. VOICE cannot guarantee that information from external sources and links contained on this site are up to date and is not responsible for the content or privacy practices of other websites which are not under the control of VOICE. Links to other websites are clearly identifiable as such and do not entail an endorsement of opinions or information offered on external websites. VOICE reserves the right to modify information on this website and to remove it. If you find an error or incorrect information on one of our pages, we would be grateful if you would inform us (communication@ngovoice.org). VOICE strictly prohibits the commercial use of any information on its website. If you are not certain about the source of the information or about your right to use any of the information published on the VOICE website, please send us a request for permission (link).